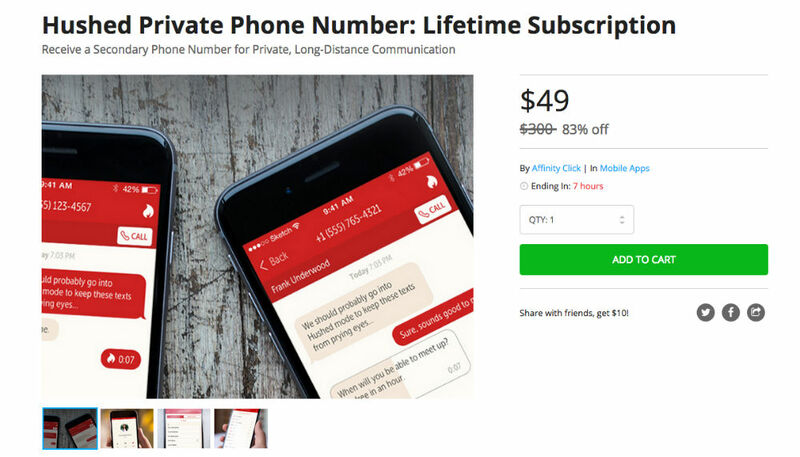 On the DL Deals Store, you can pick up your very own secondary phone number, offering much more than just an alternate line for people to contact you. With a Hushed Private Phone Number, priced at $50, you can place calls and send text messages from a private number without any monthly fees, keeping yourself off the books completely. During setup, users can choose from 100’s of different area codes from the US and Canada, and apply a custom voicemail. From inside the application, your contacts can be managed, or set up call forwarding settings. The goal of this service is to allow you the ability to talk to whoever you want, with no one else knowing about it. If that is your type of thing, then by all means, check it out. Although, if a secondary number is all you are after, then Google Voice is always a solid option.